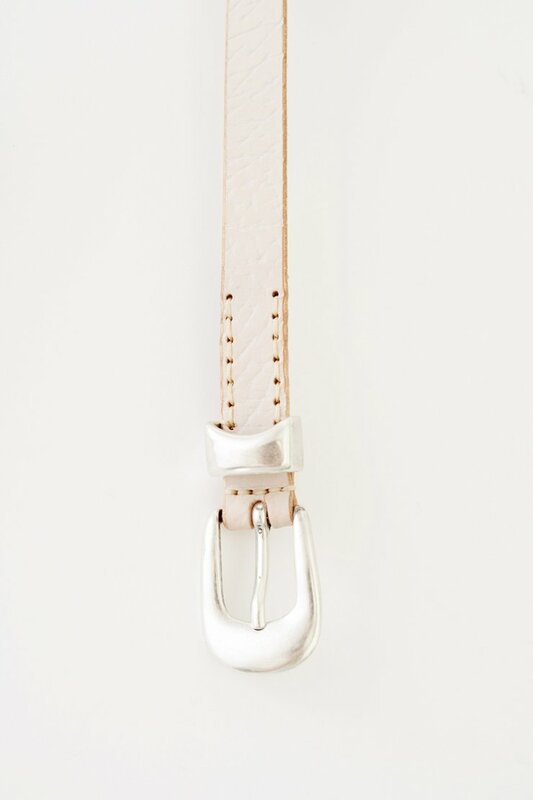 Our Belt 2 cm in White. 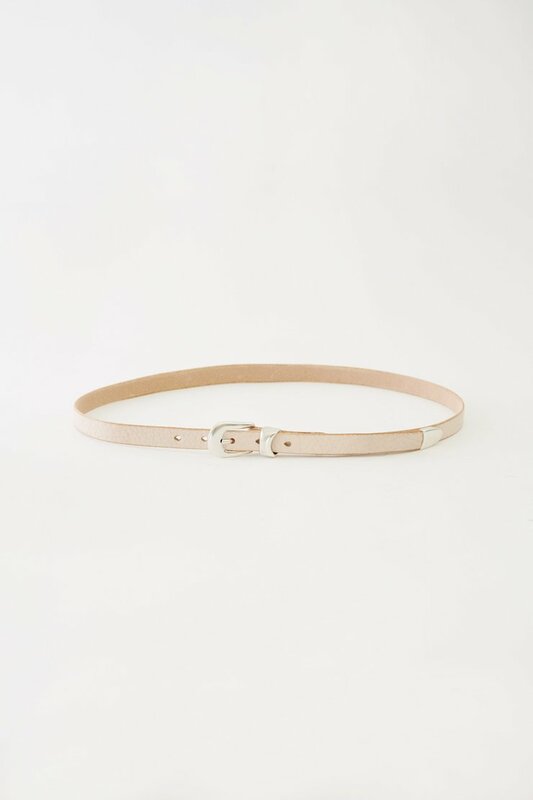 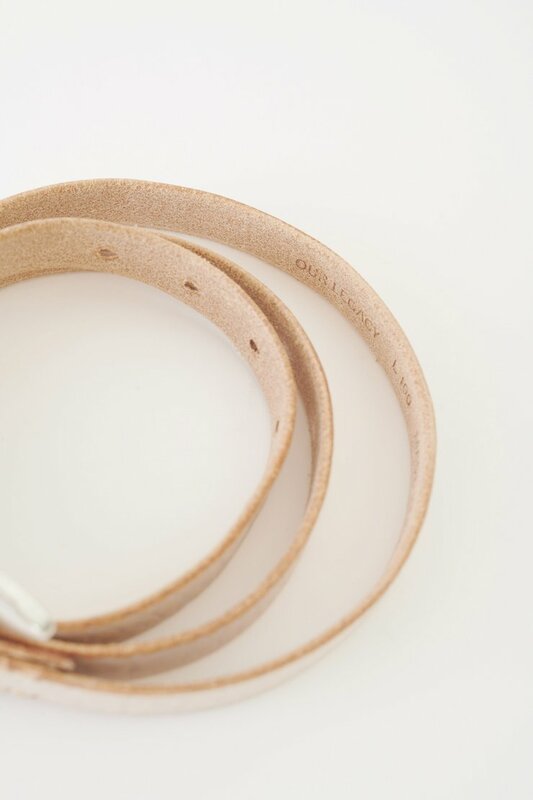 Produced in an Italian calf leather, the belt is 2 cm wide and features a metal pin buckle closure, a metal keeper, a metal tip and a dust bag cover. 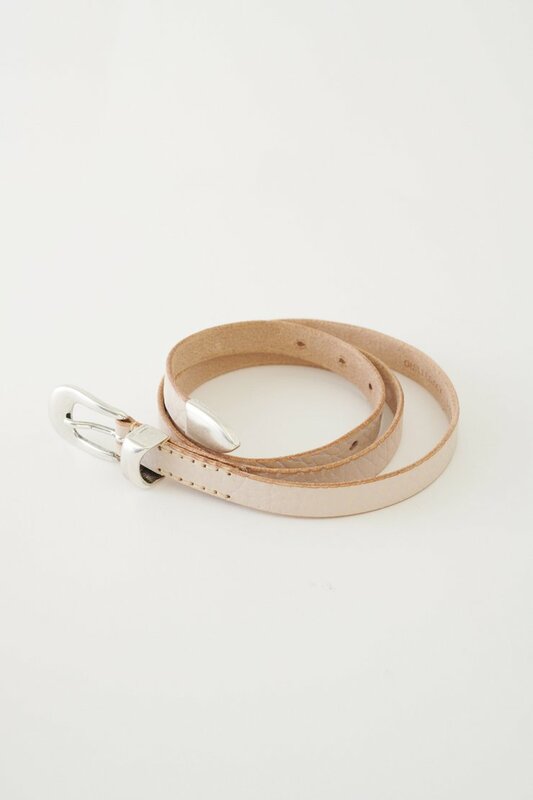 The belt has a width of 2 cm and measures 80 cm, 90 cm or 100 cm from the end to the middle belt hole - excluding the buckle.